Download script now and put on a magical modern nativity play this Christmas! If you are looking for a tried-and-trusted modern nativity play children love to perform, Bus Stop 23 is the answer. It imagines what would happen if Jesus was born today, in a bus shelter in your town. It is available in a Junior version (KS2) for 8 to 11 year olds, or in the full version, for 12 yrs to grown up. Enjoyed by all ages, this modern nativity faithful to the Christian message never fails to create a sense of excitement and wonder wherever it is performed. You only need a few simple props. 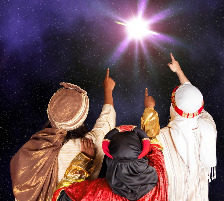 Written by award-winning writer Andrew Bailey, the 20 min nativity includes five wonderful songs, a mixture of chorus numbers, solos and modern Christmas carols. Bus Stop 23 was produced and broadcast on BBC1 a few Christmases ago. It is now performed in schools and churches all over the world. If you are looking for a nativity with a difference that's easy to do, and makes people think afresh about the true meaning of Christmas, Bus Stop 23 is perfect. The script and easy-play piano music is available for you to download instantly. 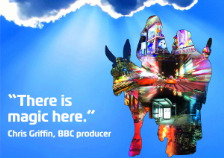 For note perfect performance, the nativity is also available with broadcast-quality backing tracks of the music. Simply select the version you require when you download your modern nativity script. By turns funny and tender, it creates a magical atmosphere in the lead up to Christmas. It has lots of speaking and singing parts, so everyone can get involved. With a traditional message but fresh approach, Bus Stop 23 shines a new and sparkly light on the true meaning of Christmas. easy to do and fun to perform. tried and trusted and suitable for all ages. available in Junior (KS2) and Senior versions. available with high quality backing tracks of the music. 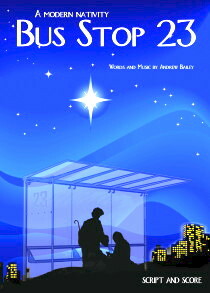 "Bus Stop 23 is a superb modern nativity. 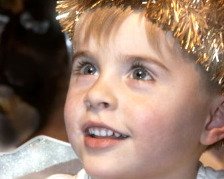 It has an immediacy and freshness that brings the Christmas message alive." "Bus Stop 23 was a highlight of the year!" Download Bus Stop 23 nativity script now, and start planning your production right away.